After all of the indulgence of the holiday season, most people are ready to get back to healthy eating once the New Year begins! The same should be true for our kids. 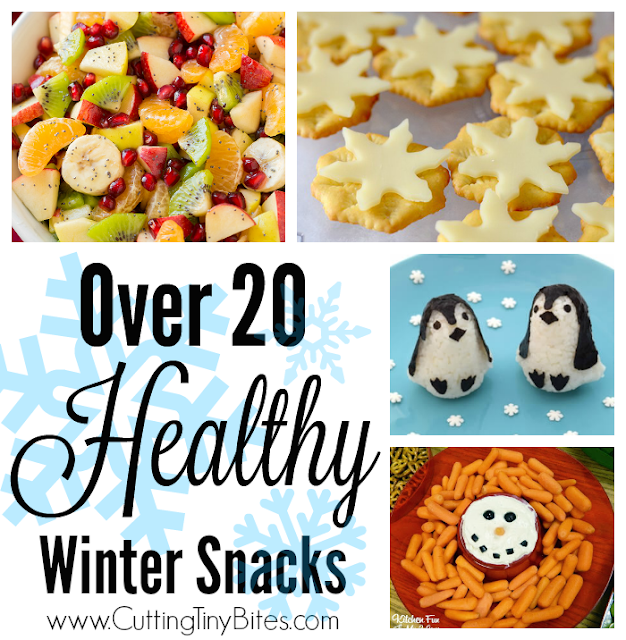 I know that my daughters certainly had more than enough cookies over the last few weeks, so I'm anxious to get back to our more usual routine of healthy eating. 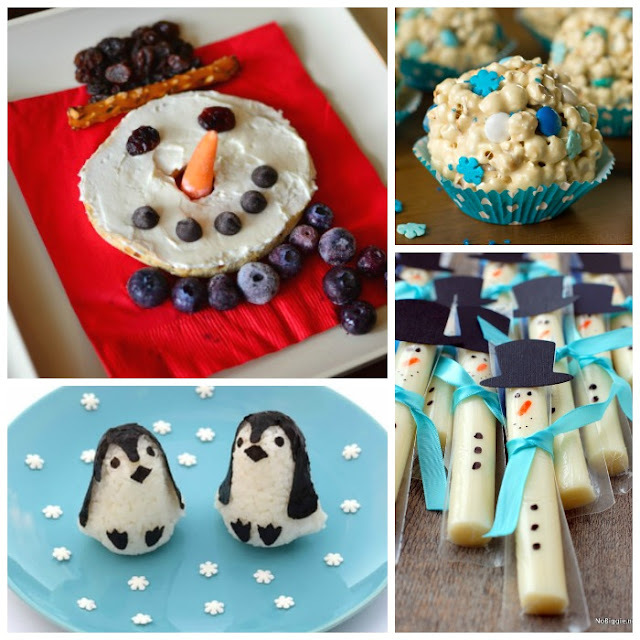 This collection of cute Healthy Winter Snacks gives your plenty of choices to brighten up a dreary winter day, without filling your kids with too much sugar. 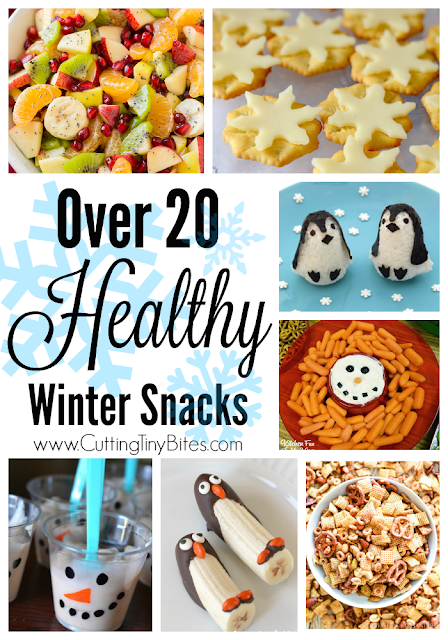 Just click on the text below each image collage to fine more information about each healthy snack! 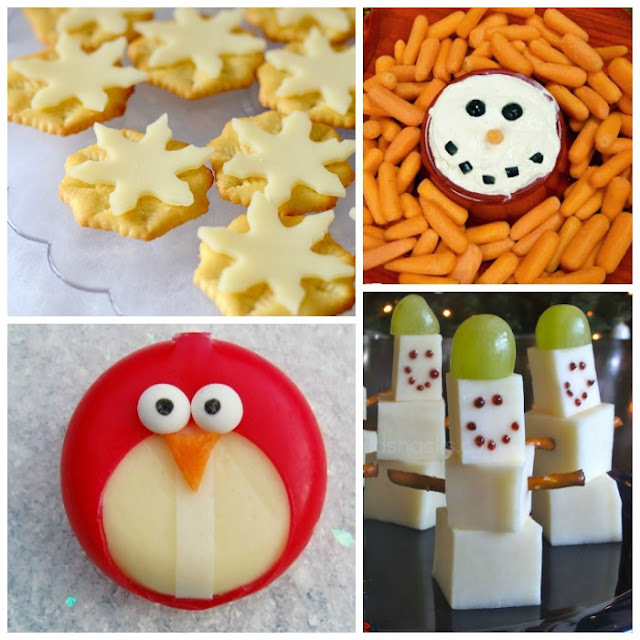 If you like healthy snacks, be sure to check out these fun choices for Valentine's Day, Spring & Easter, After School, Autumn, Halloween, and Christmas. 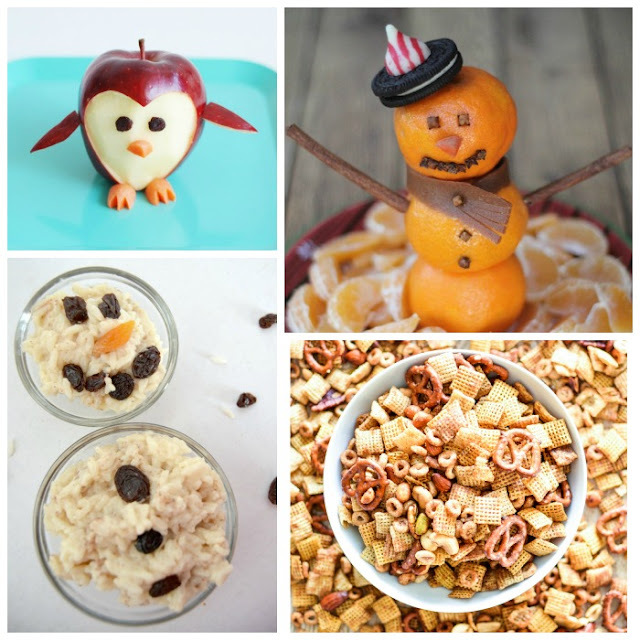 Healthy snacks for kids with a winter theme! 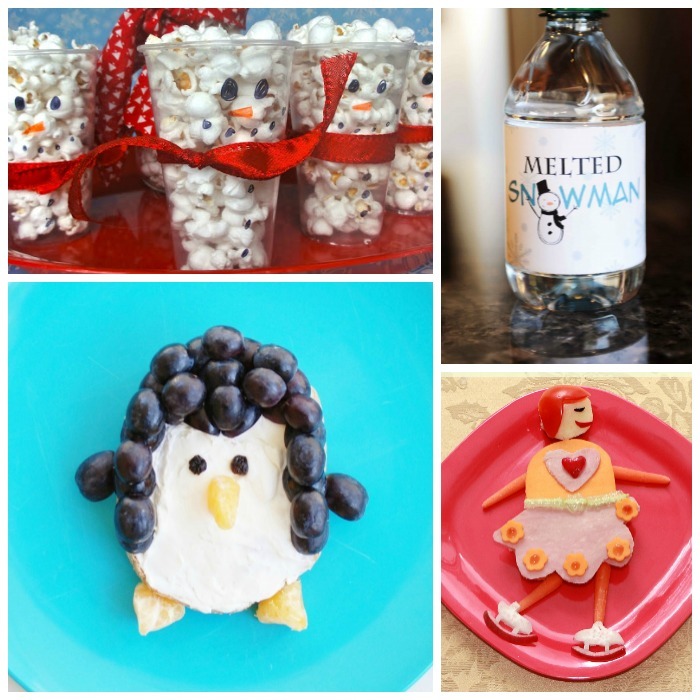 Snowmen, penguins, snowflakes, ice skaters, and more! 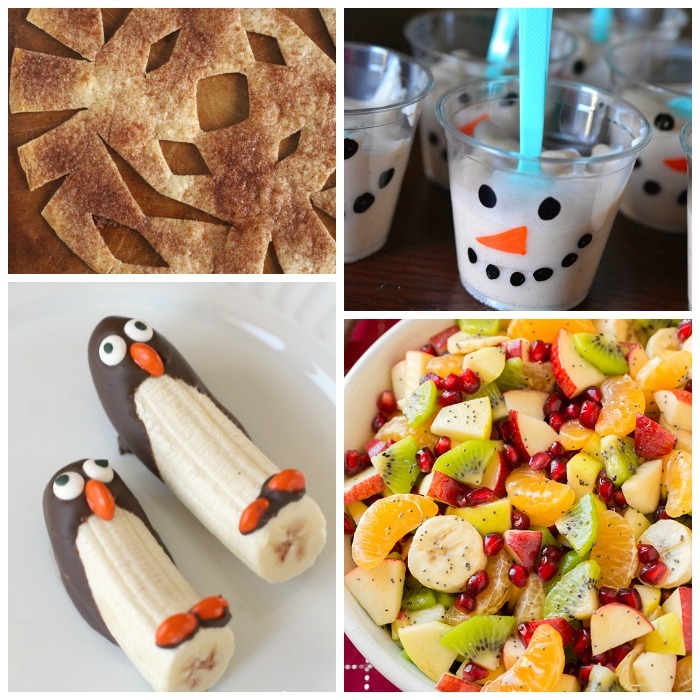 Plenty of fruit and veggie choices, great for school parties.